A warm, friendly welcome awaits you at The Whistling Badger in the popular market town of Llanidloes. Peckish? We’ve got something for you! 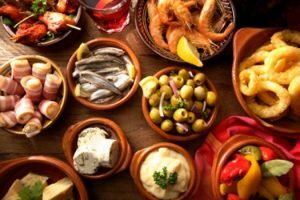 Fresh, local tapas – in the heart of Wales! Learn about the history of this amazing pub. Set in a quaint village in Llanidloes our establishment is in one of the more beautiful places in Wales. If you’re looking for quality, locally-sourced produce, then why not visit us? Our fantastic Food is expertly prepared in house by our talented team. We offer local cask ale from Tanner’s Brewery, we have a wide selection of delicious handmade cocktails. We also have an newly refurbished Gin bar! Based in Llanidloes, Powys, The Whistling Badger is committed to offering fantastic food and drink to a range of customers. 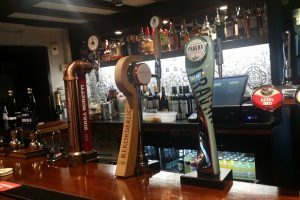 Our pub has been serving refreshments for over a hundred years, and our current team here has more than 20 years of experience in the industry. 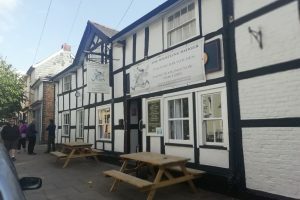 Our full-time chefs, including proprietor Sarah Board takes pride in providing the highest possible standard of service offering a picturesque location, great reputation, and excellent ales, we are the obvious choice for a swift drink, family meal, or upcoming event. We’re an independent pub, and this allows us to offer the best range of drinks to our fantastic customers. Visit us today for a great service, amazing food, and refreshing drinks! booked a few days in advance . hospitaly was exceptioal . food was fantastic and ample amount for 2 of us. lovely presented and great atmosphere. would recomend.